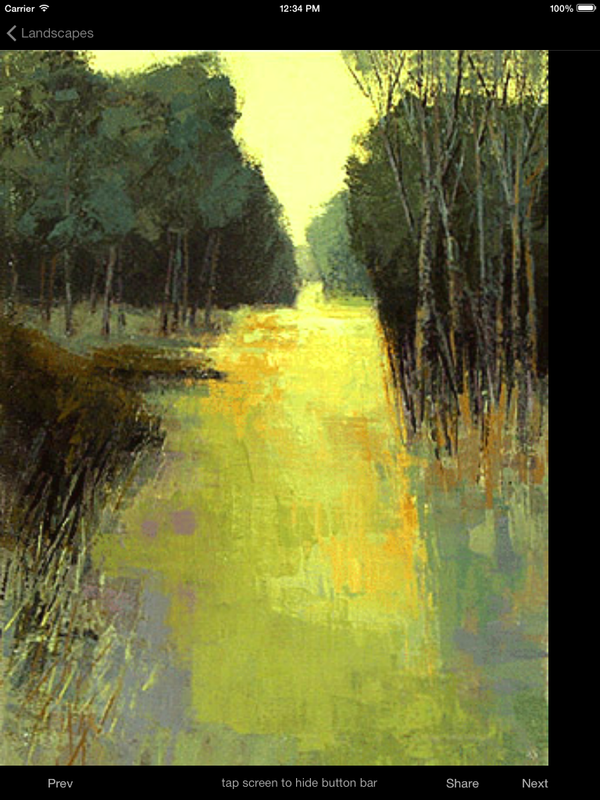 This app showcases the work and business ideas of artist Brent Watkinson. 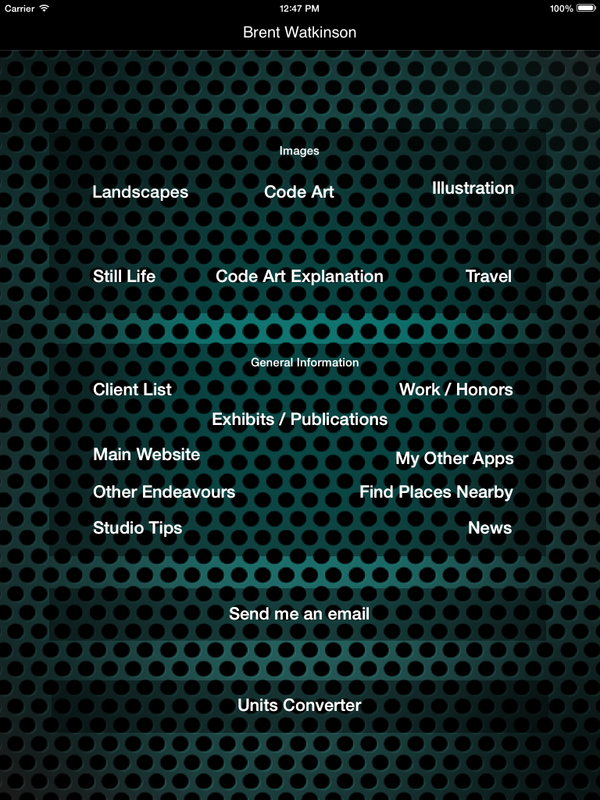 This full featured app not only shows you the work of this long-time artist, but gives you lots of usefull ideas, tools, and functions to help you in business as well as finding interesting and helpful places to advance your career and education. 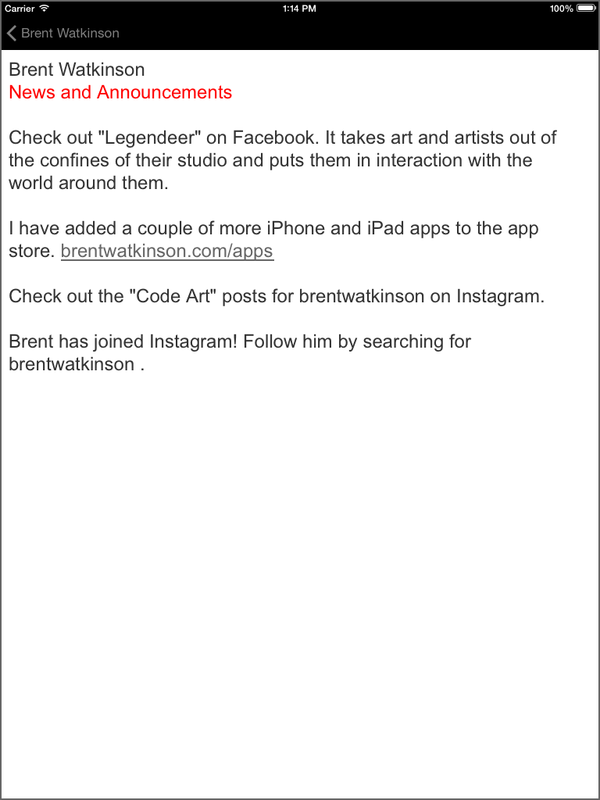 Use this app to discover the artwork of Brent's "Landscapes", "Illustrations", "Still Lifes", "Travel Images", and his newest work, "Code Art". Check out his career endeavours and accomplishments using the "Client List", "Publications", "Exhibitions", and other categories. Get the scoop on his latest image-making processes using computers to take inputs from Brent, then having a computer gently add some additional random elements to produce the sometimes unexpected, but always interesting "Code Art" images. Stay up to date with current thoughts, posts, and ideas in the "News" section. Find out how Brent uses his artist skills to break into other markets to create multiple streams of income. Good advice and thoughts for any artist, no matter what age or level of experience. Don't overlook the "Studio Tips" either! Twenty-five money and time saving ideas that will help you maximize your studio time. 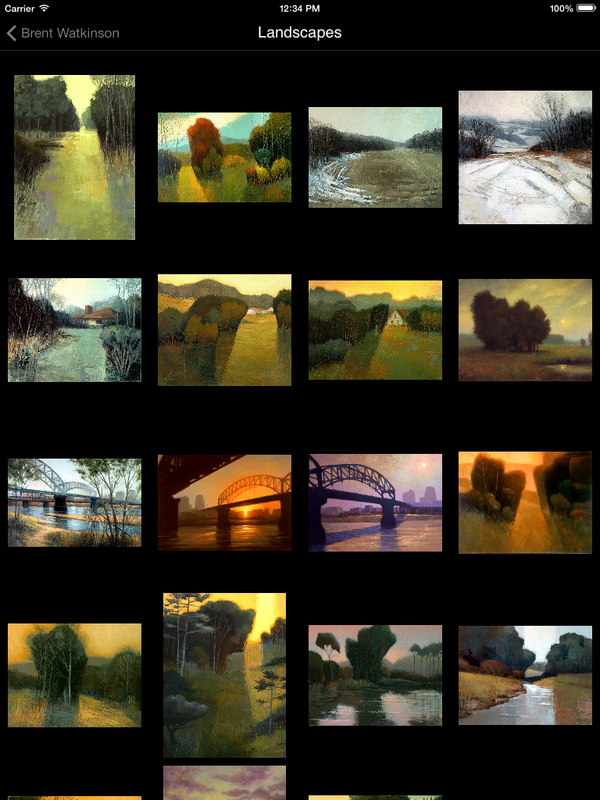 When choose a category, such as "Landscapes", a grid of thumbnails is displayed. When a thumbnail image is clicked, it enlarges and can be rotated horizontal if needed. Click the "Next" button to see the current image gracefully cross-dissolve into the next image on the grid. Likewise, you can go back using the Prev (Previous) button. 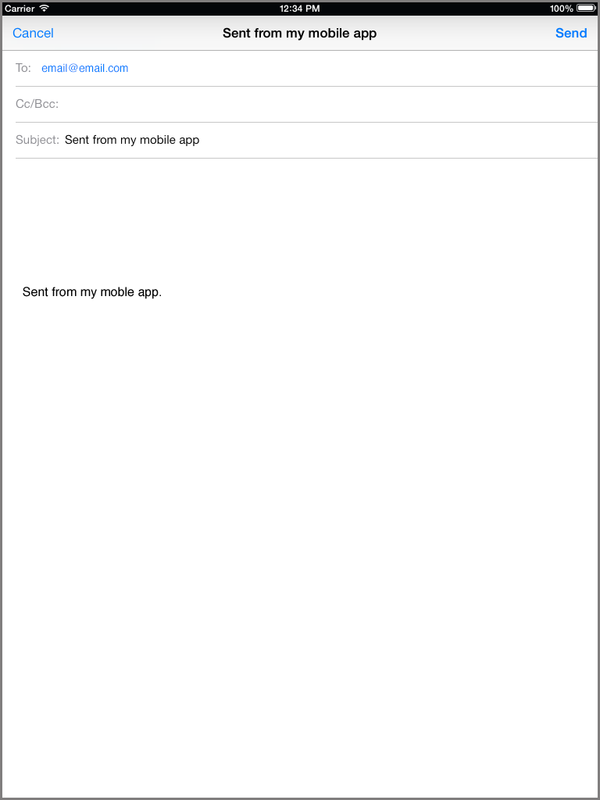 Click the "Share" button, and you can send the image as an email attachment, or simply save it to your camera role on your IOS device. 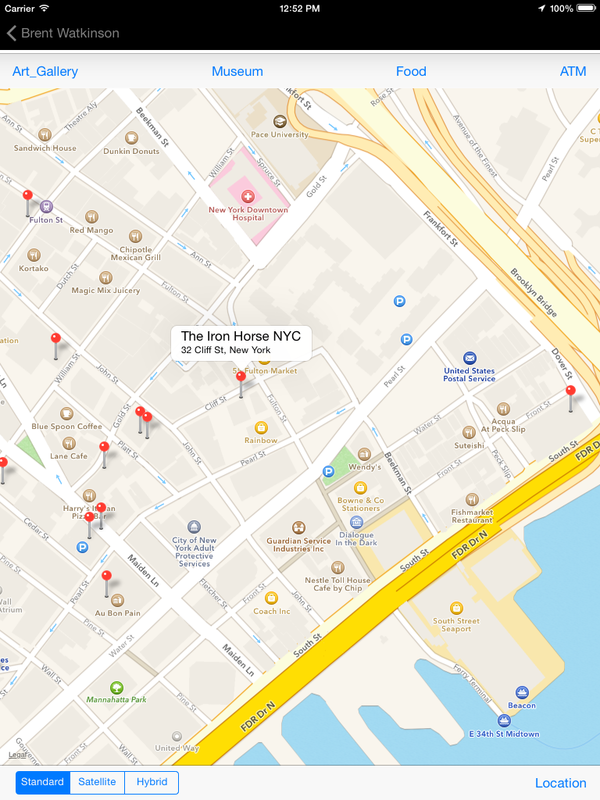 Another useful and practical feature is the ability to find Art Galleries, Museums, Restaurants, and ATM's by clicking the "Find Nearby Places" category. The app knows where you are, and by clicking a button, you can immediately find locations for the previously mentioned categories. After finding and visiting that new gallery you have heard about, find an ATM, then get some dinner; all at the touch of a button with this feature! As an added bonus, a Units Converter is provided to make it easy to function in an international market place. You will reach for this feature time and time again as you convert from whatever units you usually use, to the other. This app is LOADED with useful features! If you are experiencing problems with Brent Watkinson App, try deleting it from your phone and re-installing. You can either sync your iPhone with your computer to reinstall Brent Watkinson App, (if you have run a sync with your phone with your computer AFTER installing Brent Watkinson App the first time), or download it again from iTunes or the App Store. You won't need to pay again, as iTunes and the App Store will remember you have previously installed it. This is the "grid view" of the landscape category of images. Click on the thumbnail to see the image appear larger. The enlarged view of the image. Users can also enlarge the image and scroll left and right, up and down to see greater detail of the image. Users can click the Prev and Next buttons to seamlessly glide from one image to another. 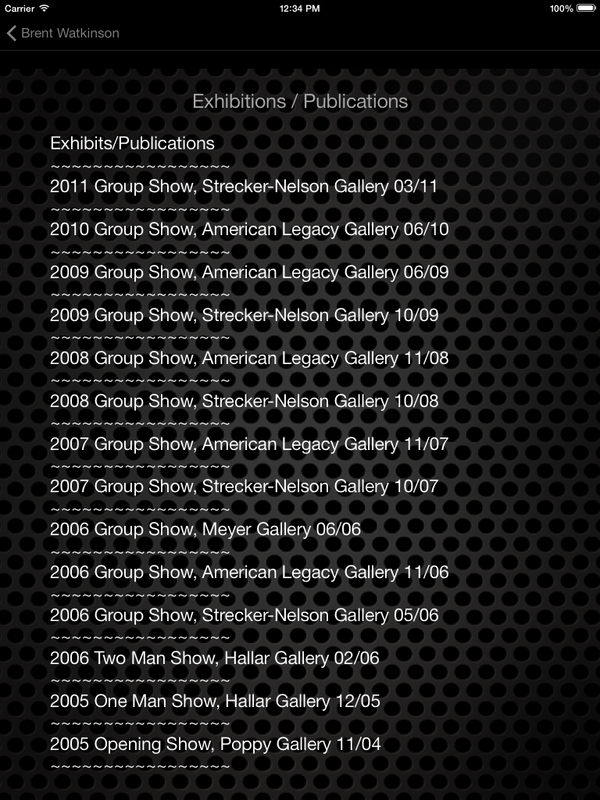 Click the "Share" button to share the image with other art directors or clients! Tapping the screen onece hides the bottom row of buttons. Tap again to bring it back. You will love this specialized feature! Anywhere you travel, you can find nearby art galleries, museums, restaurants, and atm's! Are you planning a trip to a new city to look at artwork, or find a new gallery? This feature will help you locate them with ease, and you'll never be hungry or run out of cash. With the click of a button, clients and artdirectors can send me an email. View a special webpage that shows up-to-the-minute news and developments. See a preview of my website inside my application. BONUS! 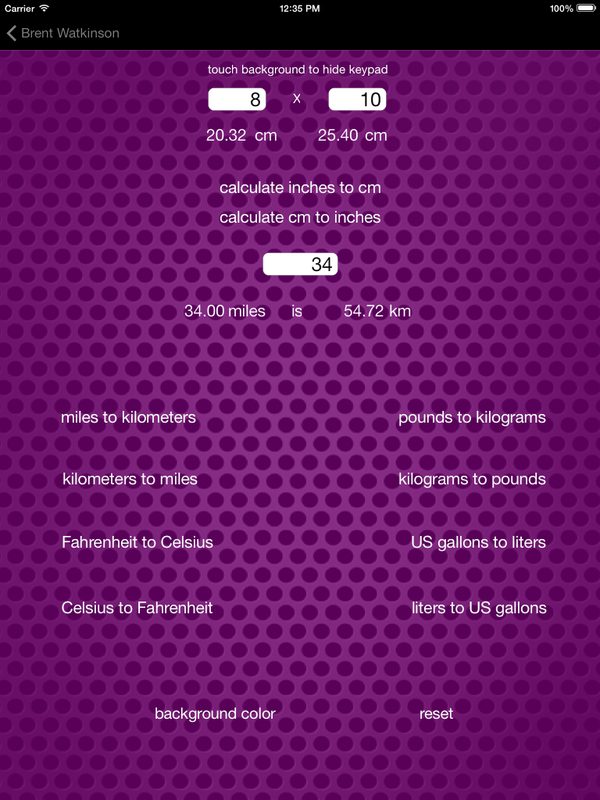 Includes a handy Units Converter. With such an international market place, this feature lets clients convert cenimeters to inches, miles to kilometers, etc. It takes the quesswork out of dimensions! Can you imagine an art director firing up your iPad app anytime they need to convert some measurements??! It keeps you on their mind!